Brett is the managing director of LifeLab. His speciality is leadership coaching designed to optimize performance in complex strategic environments. He is a member of COMENSA (Coaches and Mentors of South Africa) and is accredited by the American Board of Neuro-linguistic Programming (ABNLP) as a Master NLP Practitioner and Coach. The emphasis is on self-awareness and effective communication. 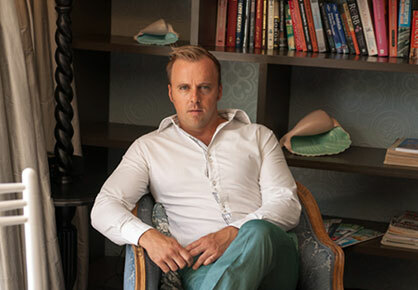 Brett’s qualifications include: certification by the Gestalt International Study Centre, USA, who develop highly successful business and non-profit leaders, as well as practitioners involved with organizational consulting, coaching, therapy, human resource development, education, and social transformation. Brett also delivers a full range of HIV/AIDS consulting services. Brett is also a registered assessor of the Benziger Thinking Styles Assessment (BTSA) that helps companies, teams and individuals to better understand their true thinking style and how it impacts on others. 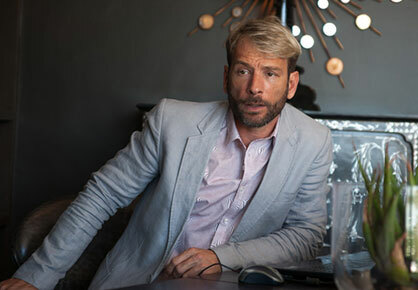 His broad management experience in the film and media industries, his marketing qualification, and his deep understanding of HIV/AIDS issues as an internationally regarded activist, have all ensured Brett’s deep commitment to practical solutions and measurable results. He is an active member of the United Nations supported GIPA Programme, whose objective is to break the silence over AIDS, overturn myths and help businesses design appropriate strategies. Brett specialises in Psycho-Neuro- Immunology (PNI) based interventions and positive mentoring. As an internationally regarded HIV-positive HIV/AIDS activist he serves on the advisory board of SAHARA for the Human Sciences Research Council of South Africa. SAHARA is an alliance of partners established to conduct, support and use social sciences research to prevent further spread of HIV and mitigate the impact of its devastation on Africa. Roger is a founding member and director of Lifelab. He practices as a leadership coach and as a consultant to create “learning organizations” that wish to adapt and thrive in a rapidly changing environment. Roger has gained considerable experience of corporate culture at the highest level with big brands and in diverse industries. His coaching focuses on developing a new generation of leaders – to enable them to innovate and deal effectively with complex change. He specializes in the facilitation of organizational transformation and the design of interventions that integrate team and individual coaching processes. Roger holds a Masters Degree in Professional Development (Coaching) – passed with distinction – through Middlesex University (UK) and an Honours Degree in Psychology. He is a PhD candidate at the University of Cape Town Graduate School of Business researching complexity leadership development. He is a faculty member teaching the M.Phil in Coaching at the University of Stellenbosch Business School. He developed the well-regarded Diploma in Coaching at the South African College of Applied Psychology and was previously the Chairperson of the Western Cape Chapter of COMENSA (Coaches and Mentors of South Africa).